Moving day is fast approaching, and you didn’t want to pay someone to help you pack. So it’s up to you to get boxes and packing supplies to organize your belongings for their trip. If you are not sure what type of supplies you will need, read on to learn the basics. One hardcover book isn’t that heavy, but there will be some weight when put a dozen or two together. If you own many books, it is best to put them in small book boxes that can withstand the weight. These boxes can also be used for small, heavy household items that you don’t want to carry loose. Small moving boxes are also ideal for small & heavy items, and offer a little more room than book boxes. These types of boxes are good for packing canned food, small heavy appliances and household tools. These are cheap, so you can buy several of these – you can always use them for household storage later. You will need many of these, because they can store items that are found throughout your home. In the bedroom, they can be used for storing small toys, nightstand contents and personal items. You can pack kitchen items like lightweight cookware, food storage containers and boxed food items. You can also use them for picture frames and other decorative knickknacks in living and family rooms. Start with at least one dozen of these boxes, and add another dozen for each bedroom in your home. 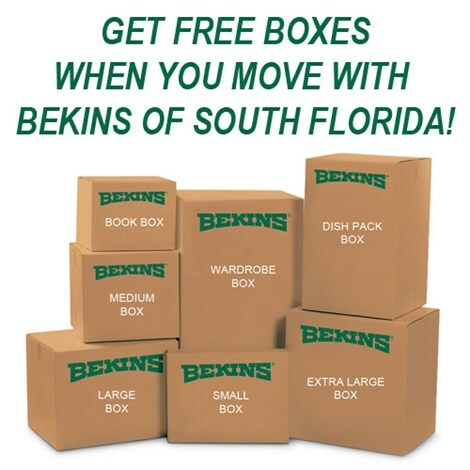 Large moving boxes are used for your clothes and shoes, where you have many lightweight items. These can also be used for holding a purse collection, table lamps and small kitchen appliances. Large toys, board games and your extensive DVD/video game collection will also fit in these. Extra Large moving boxes are designed to hold a few light, yet bulky household items. These types of boxes are ideal for items like pillows, blankets, comforters, bed sheets and towels. Of all the box sizes, you will need the fewest of these (about 3 for each bedroom in your home). A wardrobe box contains a top rail that will allow you to hang clothes while still on their hangers. 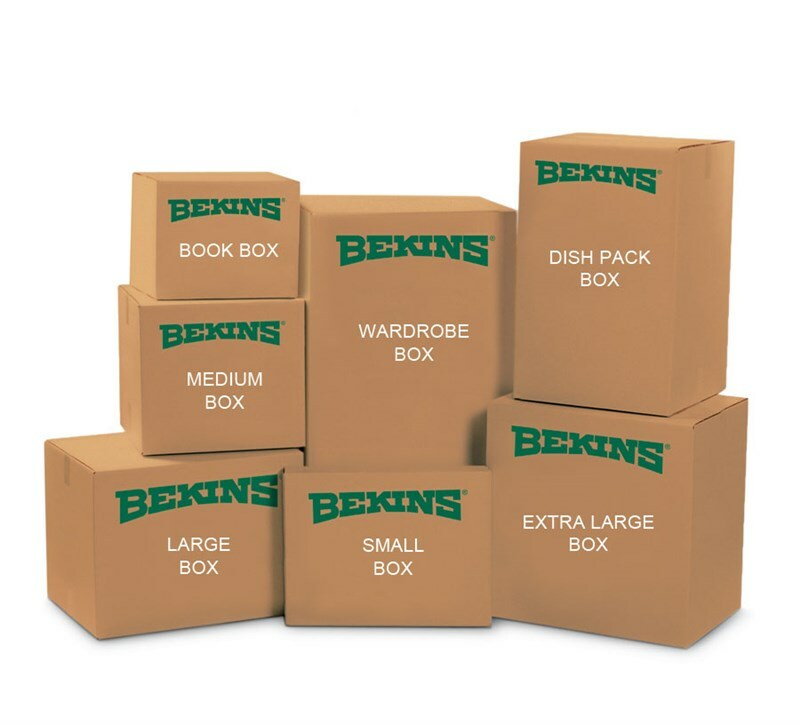 These boxes can help speed up the packing and unpacking process for coats, suits and dresses. This can also keep clothing items from getting wrinkled during transport to their new location. These boxes will typically hold up to 2 feet of closet space worth of hanging clothes. Since these boxes can be more expensive to buy, many movers will rent them to you for the day. Your items will come in contact with some dirt on their journey to their new home. Moving trucks are not always the cleanest, and crew member hands can get dirty as the day goes on. Spending a couple of dollars to keep dirt off your mattress is recommended to keep it clean. If you didn’t save the box that your television came in, you might want to consider a TV box. Items can get jostled around during a move, so it pays to have expensive electronics secured. If you can find a box to fit your television, make sure that it is wrapped with substantial padding. If you want to save time wrapping your plates and glassware, consider buying a dish packing kit. The kit typically consists of a large box, with internal dividers of corrugated cardboard for each item. You can use small moving boxes for dishware also, but each item needs to be adequately wrapped. Fragile items need to be wrapped in a layer of paper of bubble wrap for protective cushioning. You don’t want ceramic and glass items like dishware and knickknacks jostled around during the move. You can also use newspaper and weekly sale flyers if you run out of wrapping paper during packing. Buy several rolls of tape for putting the boxes together, and a marker for each person that is packing. A box cutter for each person can also come in handy for cutting tape or ad-hoc wrapping needs. If the store accepts returns on unused items, buy more than you think you will need. You can always return items after packing is completed, instead of making several trips for supplies.